Wayan Punia Atmaja opened Zen Divers in 2015 to share his passion for diving with diving enthusiasts and beginners alike. At Zen Divers our motivation is to share our love of the underwater world with both visitors from around the world as well as with the local Amed people. Wayan started his underwater-life path back in 1993 with the Open Water Dive Course; he then spent many years subsequently diving and teaching around Bali, particularly in the Sanur area, eventually gaining his PADI Dive Instructor qualification in 2001. 24 years into this love of the exploration of the underwater realm and with a burgeoning desire to educate the Balinese about the environment, Wayan returned to his home town of Amed. In 2013 Wayan became the first local dive instructor to operate in this now famous diving region of Bali, as recently as 2013 very few Balinese locals were interested in or had thought to appreciate this particular aspect of their natural surroundings. Wayan has a strong calling to teach his people and show them the world below the surface and in turn help to grow a better understanding within his community of how it should treated. This was the driving force behind Wayan’s decision to return home to Amed. 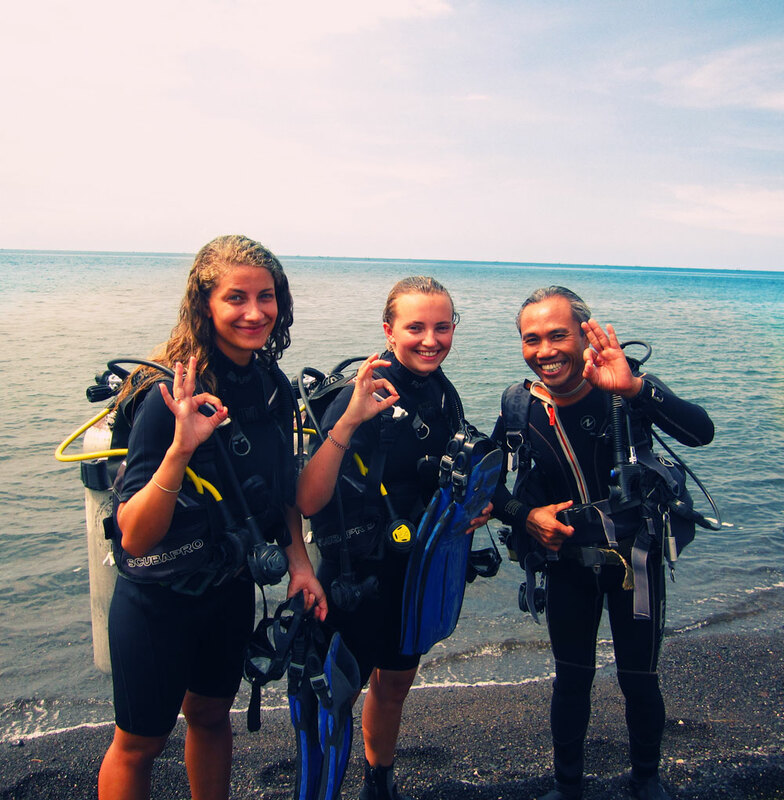 Two years later Zen Divers was established as a natural step in this pursuit to continue to Introduce locals and visitors to the beauty of Amed’s underwater secrets with the assurance of qualified instructors with a strong environmentalist and community awareness. Our approach is to follow the Zen Buddhist beliefs of respect for all living creatures. We will teach you to be at one with the sea. Our staff at Zen Divers will fill you with confidence for your first dive or enhance your existing diving skills and life experiences for the more practised divers. Visit the world famous Tulamben USS Liberty Shipwreck dive site, the Coral Garden, the Drop-Off as well as the Japanese Shipwreck to name just a few – all within easy distance of our dive center in Amed. Seeing Amed’s dive sites through the eyes of an environmentalist instructor team with Zen beliefs - is an unforgettable experience that may just change your life. We hope to see you in our little piece of paradise, our Zen garden, for a coffee or two and a chat about Amed’s immense natural beauty and how to respectfully explore it.